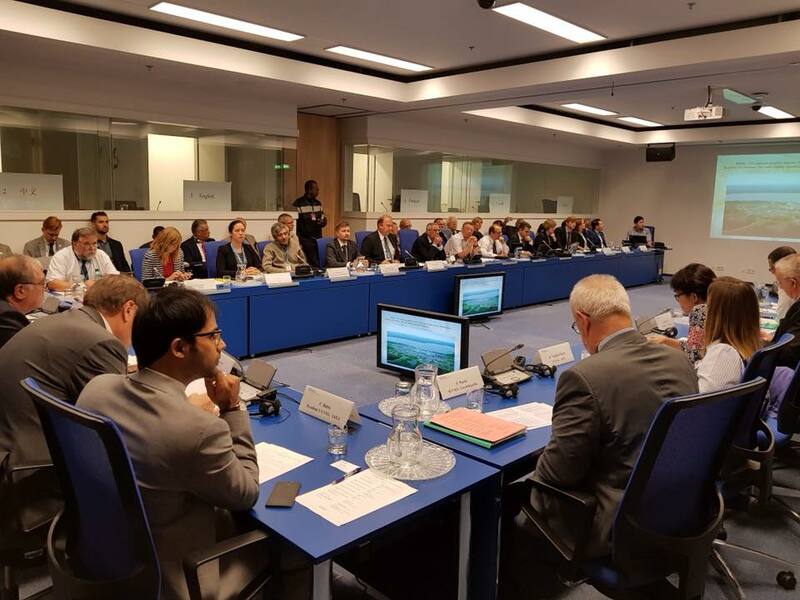 On 19 September 2018, the United Nations – Nuclear Young Generation (UN-NYG) co-hosted a side event on the margins of the 62nd International Atomic Energy Agency (IAEA) General Conference, titled ‘Preparing the Next Generation of the Nuclear Workforce: Sharing, Sustaining and Developing Knowledge’ at the Vienna International Centre in Austria. In conjunction with the IAEA’s Knowledge Management Section within the Department of Nuclear Energy and International Union of Veterans of Nuclear Energy and Industry (IUVNEI), the event addressed some of the nuclear industry’s most significant challenges regarding recruitment, retention and transfer of knowledge. Around 120 participants from across generations gathered to explore the different avenues of knowledge transfer. Representatives from the IUVNEI, the European Nuclear Education Network Association (ENEN), and the European Nuclear Society (ENS) were brought together to discuss opportunities for collaboration in this area. Mr Mikhail Chudakov, the IAEA Deputy Director General of the Department of Nuclear Energy opened the event. He stressed the paramount importance of continued education and training on the challenge of managing and retaining technical knowledge. The importance of building knowledge transfer programmes with a focus on mentoring and leadership development were also emphasized by the participants. Nuclear technology was also discussed by IUVNEI President Pavel Ipatov as a field which requires acceptance for further development. The senior professionals in the nuclear industry and the young generation are interacting directly and are engaging in conversations to understand their challenges and needs. “Such networks are not only pivotal in preparing the next generation professionals and leaders, but also provide a momentum to the whole nuclear industry,” said Chirayu Batra, President of UN–NYG. The long-term commitment and integrated approach required for nuclear power from consecutive generations of professionals for nuclear power was also discussed. David Drury, Head of the IAEA’s Nuclear Knowledge Management Section, addressed benefits of the innovative ways in which accumulated critical knowledge have been transferred. The IAEA has a long history of facilitating collaboration sharing between senior and young professionals through conferences, workshops, and various educational activities such as e-Learning and digital hubs. The formal proceedings of the 62nd General Conference Side Event were followed by a moderated panel discussion with members of the UN-NYG, ENS and ENEN, and finally was concluded with an award ceremony.